The main event hasn't even started and we've already discovered one of the major talking points of the 2017 US Open - the long fescue grass. Dividing players opinion, the issue came to light when Kevin Na took to instagram to slander the unplayable conditions of the fescue when he arrived at Erin Hills. From that point on, players like Lee Westwood, Tyrrell Hatton and Andrew 'Beef' Johnson made fun of the conditions, and Jon Rahm admitted he wouldn't be practicing any shots in there due to a fear of hurting his wrist. 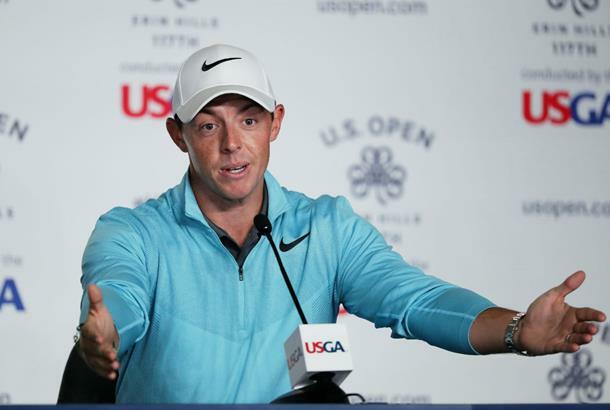 But both Rory McIlroy and Jordan Spieth said they felt the test was fair. Although the newest US Open venue may have hazardous rough, they felt that as Erin Hills has the widest fairways in the event's history the fescue should just be treated as normal a hazard. “I don’t think the golf course is unfair, by any means, because of the fescue. We have a wide enough area to hit it and you need to drive the ball well in order to win a U.S. Open," Spieth said. But heavy rain descended upon Erin Hills and caused delays to Tuesday's practice round - and as a result the USGA decided to cut back some of the grass on a few of the holes, which they stated was because they believed it unplayable. If forecasts are to be believed then further bouts of bad weather are set to plague this year's event, meaning the once whispy areas of grass could become very dense and even more difficult. Whether they actually decided to cut it back due to the rain or whether they caved under the pressure of criticism from the professionals, it's hard to say. But the 2011 US Open Champion was not happy about it.